When your baby undergoes teething it can only mean two things – sleepless nights for both mother and child, or for some lucky pairs, it could just mean a real cute set of pearly white milk teeth. 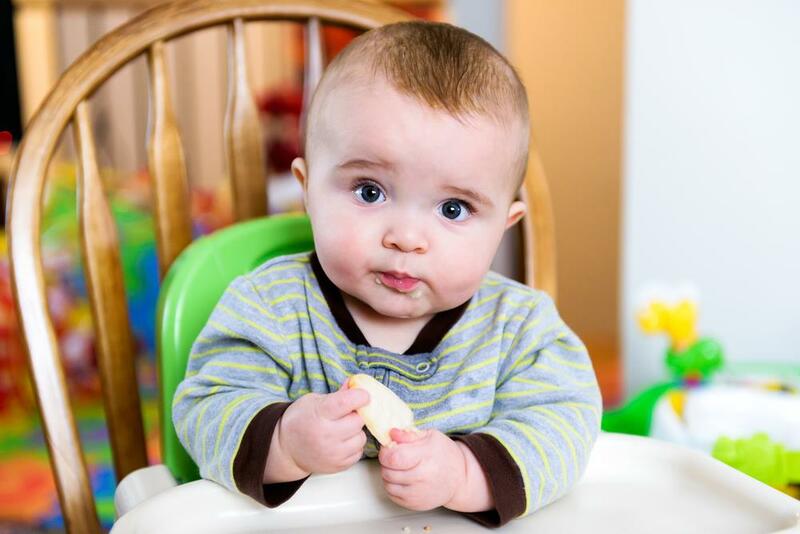 Believe it or not, some babies do not become fussy during the teething phase. Their parents just notice a tooth or a molar, grow one after another. But majority of babies though become fussy and cranky due to teething. Pediatricians explain, during the eruption of the baby’s milk teeth, the gums usually become swollen, and really itchy, and even painful to some. In view of these, most babies try to chomp on anything they can get their hands on and would love texturized or jagged surfaces for them to rub their gums on. So how would you know if your baby is about to grow milk teeth? How old are babies when they start teething ? Well, according to pediatricians, babies can start teething at 4 months – although six months is a more common starting age. If your baby has reached this age and has yet to grow a tooth or two, do not worry as for some babies their first tooth may appear as late as after their first birthday. These discrepancies can purely be attributed to the uniqueness in the developmental phase of each baby. No two babies are the same really. In fact, there are some newborns who are born with a teeth or two. Has your baby morphed into a drool machine? Do you feel like you need to wipe his or her chin every now and then, or replace her bib every hour or so? If you answered yes to these questions well, you might just see a little white sec in the gum anytime soon. Just make sure to wipe the drool to avoid any skin irritation like rashes. Have you noticed that your baby has been putting a lot of solid, and hard objects in his or her mouth lately? And that he is rubbing it in his gums while he is at it? If yes, then that could mean that your baby’s gums are starting to get itchy because a teeth is about to erupt. You may want to take a look into the gums as well, because it may be swollen or become reddish versus the usual pinkish color. Are you asking yourself what have happened to your carefree baby, who had just learned to sleep through the night? Yes, usually weeks or a few months after your infant learns to sleep through the night, teething will suddenly come in to rob you of that stretch of sleep you had longed for since giving birth to that lovely infant. Teething babies become cranky, and fussy, even at night time because the eruption of teeth is really very uncomfortable for them. Some babies may even find it hard to sleep or would even become more wakeful at night because they get so irritated with the itch and pain in their gums. This fussiness and irritability will become all the more pronounced once the baby starts growing molars. Some people also believe that teething babies could get fever or diarrhea during this phase, but pediatricians do not subscribe to this, saying that fever and diarrhea in infants should be taken seriously. The only possible co-relation between teething and diarrhea or fever could be because babies may have chomped on objects that are may be laden with bacteria and virus. Having said this, the best thing to do still is to have them checked by the pediatrician so they could be given appropriate medications. Pay your pediatrician a visit. Ask your pediatrician about the best thing to do to ease your baby’s teething symptoms, and if there are topical medication or any type of pain relief that could be given to the baby, if needed. Even if teething happens to all babies, it is still best to consult your baby’s pediatrician about the topical medication, as well as pain meds to administer to your child as your pediatrician knows about your baby’s full medical history including allergies and other possible conditions. Give teething toys to your baby. 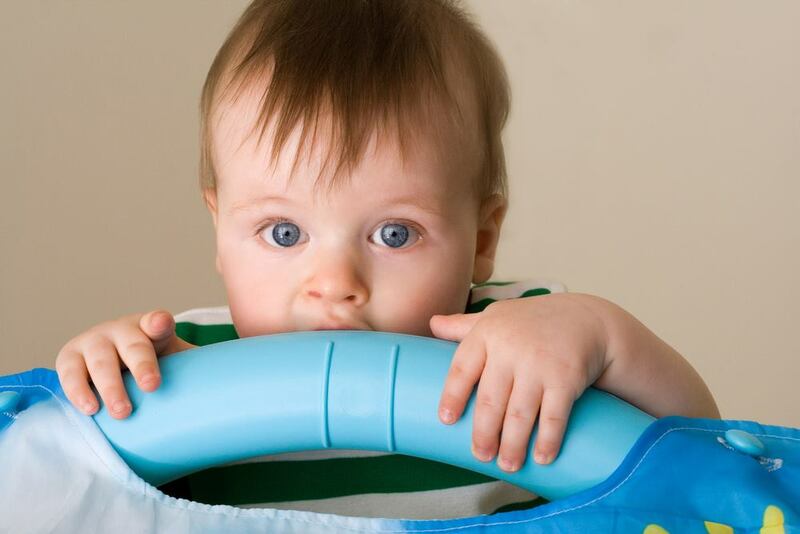 Make sure that your baby will have safe teething toys for him to chomp on. Of course choose teething toys that are BPA-Free, and sterilize the toys prior to letting your kid teeth on them. A good way to ensure that there are clean teething toys all the time is to buy enough for a two-set rotation. While you are cleaning, washing, and sterilizing the other set, at least your baby will still have several toys to teeth on. 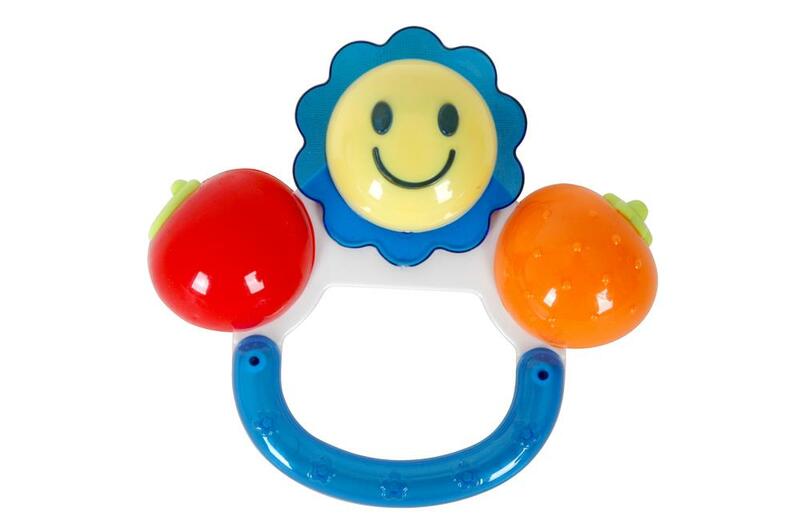 There are many types of teething toys in the market today. There are those that are made of hard-plastic that are textured, some are made of silicone, others are made of safe plastic and has gel or water inside. A new kind of teething toy, are chewelry or teething necklaces and bracelets worn by the parent or the caregiver for the baby to chomp on. These are made of food grade silicone, and do not need to be sterilized because they can be cleaned well by using dish soap and warm water. 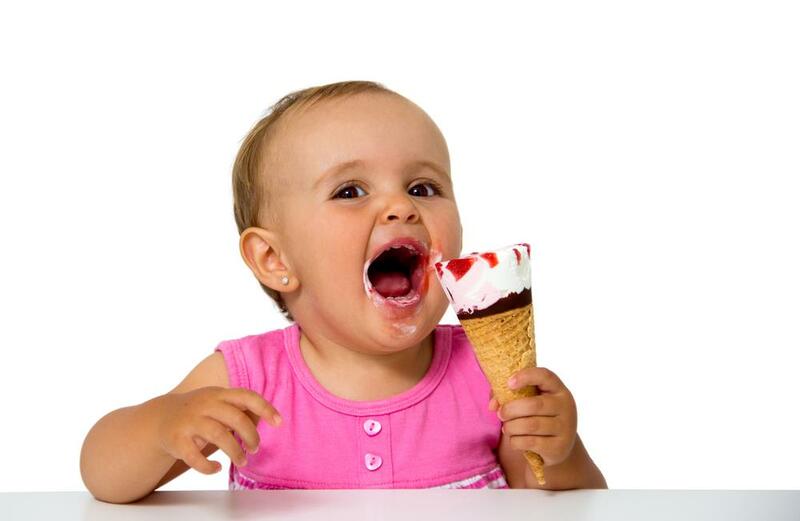 Frozen toys and food can numb the gums and help in soothing the baby’s swollen gums. Freeze your kid’s teething toys before giving it to him. Teethers that have water or gel inside are best given to babies frozen! You may also want to freeze a clean and wet washcloth for your baby to teeth on. The texture of the washcloth against your baby’s teeth can help ease the itchiness and pain. You may also want to give your baby some frozen fruit inside a mesh feeder so your baby can chomp on fruit and at the same time sip its juices while relieving his teething symptoms. Hard and baby-safe teething biscuits can help ease teething symptoms and at the same time help satisfy your baby’s urge to gnaw at something. Just make sure to supervise your child as there may be instances that the biscuit could break into small pieces and pose a choking hazard. So there you have it, if all else fails, you may want to ask your doctor what other oral remedies could be administered to help ease your baby’s teething symptoms. You may also want to try your hand at massaging your baby’s gums by using a gum massager or a sterile piece of wet gauze.